Kevin J. Anderson is the New York Times best-selling author of over 100 books, including several novels in the Star Wars, X-Files, Superman, Batman, and Dune universes. His writing has been nominated for the Nebula Award and the Bram Stoker Award. He has co-authored more than 10 Dune novels with Brian Herbert. The original Dune, written by the late Frank Herbert, was the first best-selling hardcover science fiction novel and has been frequently cited as the world's best-selling science fiction novel. Matthew Peterson: My next two guests are Brian Herbert and Kevin J. Anderson. These two New York Times best-selling authors are continuing Frank Herbert’s widely popular Dune novels. Brian Herbert, the son of the late Frank Herbert, has also written the Timeweb Chronicles and has been nominated for the Nebula and Hugo awards. 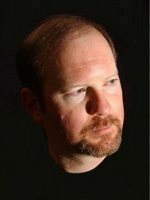 Kevin J. Anderson has written over 100 books, including several novels in the Star Wars, X-Files, Superman, Batman, and of course the Dune universe. His writing has been nominated for the Nebula Award and the Bram Stoker Award. Thanks for being on the show today, guys. Brian Herbert: Why thank you, Matthew, I appreciate that. Kevin J. Anderson: Yeah, thanks for having me, Matthew. Matthew Peterson: Let’s start out with the Dune novels. Now, Dune is considered one of the greatest science fiction novels of all time. And Frank Herbert started this series and continued until he passed away in 1986. The first Dune book came out in 1965. It was the first best-selling, hard cover, science fiction novel and has been frequently cited as the world’s best-selling science fiction novel. And it really has become a classic. Kevin J. Anderson: Well, I definitely agree with you about how great the novel Dune is. I think it’s the best science fiction novel of all time, and I read it when I was, oh I don’t know, 11-years old and just loved it as an adventure story. And then I read it again when I was in college and saw all these other layers to it. I’ve read it many, many times over the years, even well before I got to working with Brian. And there’s just so much complexity and so much imagination in there, that I just felt that Dune sums up everything that science fiction is all about. Brian Herbert: Well, Dune initially was not a big bestseller, and it was actually Dad’s third book in the series that hit all the lists. That was Children of Dune. Matthew Peterson: Ah! I did not know that. Brian Herbert: Yeah, but Dune has outsold Children of Dune over the years. Matthew Peterson: Yeah. Well, that’s interesting. Brian Herbert: The first printing of Dune was 2200 copies. They’re very valuable now, if you can find one. Matthew Peterson: Yeah, yeah. I can imagine. Well, Brian, you’re one of the few people I can actually ask this to: What was it like growing up with Frank Herbert? Brian Herbert: Well, I wrote a very detailed biography of him: Dreamer of Dune. But it talks about the fact that I didn’t get along with Dad when I was growing up. But I did hear my dad reading stories to my mom; he would read chapters from Dune and scenes. And when I was in my twenties and my mother was 47 she got terminal lung cancer and was given six months to live. And at that point my dad came in as this heroic figure, and he built this house for her in Hawaii where she could breathe easier and he actually extended her life by ten years. But early in that period, my father and I, ironically, became best friends. Brian Herbert: Whereas we’d been at each other’s throats before that, and it just was a great ending for our relationship. The last book that Frank Herbert wrote, ironically again, was written with me. And that was Man of Two Worlds, it was a science fiction novel. So, we went, you know, full circle and became very, very close during that time when I saw him as such a heroic figure, and I saw aspects of him I didn’t know existed earlier. Matthew Peterson: That was going to be my next question, because I knew that you had written that last book. Brian Herbert: Well that last book, Man of Two Worlds, was supposed to be a serious science fiction novel and I spent about 13 months writing the first draft of the book and then when Dad had time, he looked at it. And he spent maybe 6, 7 months, very intense work on it, and he added most of the humor. [laughs] So people think that the humor in there is mine, but it’s mostly Dad’s, and we had a great time writing the book. Matthew Peterson: Those are the type of great experiences that you can remember of your father. Brian Herbert: Yeah, I just didn’t expect it to ever happen, considering our earlier problems. Brian Herbert: I mean Dad was the disciplinarian when I was growing up, but I probably deserved it. I was a pretty loud kid and he was trying to do brilliant things in his study. But, you know, sometimes I’ll talk to audiences about Dreamer of Dune and about the need to forgive people and I see a lot of tears in the audience because they have a sibling or a mother, father, daughter, etc. son, and they haven’t forgiven that person or there’s still some animosity going on. So I would just encourage people to reach out and find the good in other people even though it’s, sometimes, it’s difficult to find. Matthew Peterson: I think that’s excellent advice. Brian Herbert: When I was reading my dad’s stories, I found these incredible relationships and the love and all that between the characters. So it’s not surprising to me that he had such a huge heart, as was revealed to me later personally. So he had the capacity for it; he was just focusing so much of it into his wonderful stories. Matthew Peterson: Yeah. And after he had passed on, many years had gone by without a Dune novel. The last book, Chapter House Dune, left the story on a big cliff hanger. So, Kevin, tell us the story of how you got involved with the Dune novels. Kevin J. Anderson: As a fan, I had read all the way through the series, the six books that Frank Herbert wrote. And then . . . like if George Lucas had died after doing the Empire Strikes Back, I think everybody could pretty much figure out that he had more movies he was planning to do. Kevin J. Anderson: That’s sort of how Chapter House Dune ends. That it’s clearly not the end of the story. There was something more going on there. And Frank Herbert had passed away from pancreatic cancer, so it was fairly quick after he was diagnosed. And as a fan I had read all this stuff and wanted to see how the story ended. Myself, as a writer, I had published my first novel in 1987 or 1988, which was right around the time that Frank Herbert died. And he was a big influence on me and I always read and was aware of his books, but I kept publishing my own novels and I’m getting critical acclaim and award nominations, but then I also did a lot of work for existing universes, for Star Wars and for The X-files and writing comics and things. So, I felt I kind of had the right toolbox to tackle a rather crazy project, and when I spoke with Brian Herbert, I just suggested to him--because it was obvious to Brian as well that the Dune story wasn’t over, that there was a lot more to be told. And so we kind of got together and brainstormed and decided that we liked each other a lot and we could work well on doing a story and we just kind of tossed ideas back and forth about what to do and, kind of a long story, we’ve done 11 novels together, but . . .
Brian Herbert: Well, Dad died in 1986 and my mom had died in ‘84 and when she died, Dad was writing the last Dune book that he published, Chapter House Dune. And she had titled that book and when she passed away in Hawaii, he wrote a three page tribute to her at the end of Chapter House Dune that was published with the book. In view of that wonderful tribute that he wrote to her, the fact that she titled the last book and that they were a writing team essentially, I thought the series should end right there. And so I refused all suggestions that I write another Dune book or that somebody else do it or that we do it in collaboration. And I refused that for about 11 years, and I avoided calling Kevin back for about a month or so. But I ultimately called him early in 1997, and he and I just hit it off immediately. It was unlike any other conversation I had ever had with anybody about the Dune series. It was like a jazz performance from the very beginning, in which he’d come up with an idea or I would, and we’d just keep building on it. Kevin J. Anderson: We chose to do prequels to Dune instead to introduce people back to the universe, but in the process of us digging around and looking for details and any possible clues that Frank Herbert might have left around, that we eventually found some notes and outlines that Frank Herbert had left. Brian Herbert: Right, we have more than a thousand pages of Dad’s notes from all kinds of different places. Kevin J. Anderson: So, therefore, we knew where we were going, and I guess the rest is history. The last one that just came out was The Winds of Dune, which also hit the New York Times bestseller list and that was our tenth Dune novel in a row to hit the bestseller list. Matthew Peterson: Some people might not have read the books. One of the interesting concepts of the books is “the spice.” Brian, tell us a little bit about what the spice is and what the whole deal with the worms is, ‘cause it’s kind of like the life blood of this universe. Brian Herbert: The novel Dune, in addition to being this great adventure story about a Lawrence of Arabia type character, the novel has layers beneath it of ecology and politics and religion and philosophy and all these important things. But Dad also created a monster on that planet which are these sand worms. It’s like a dragon guarding the treasure. And they’re giant sand worms that come up out of the sand and they live beneath the surface; they’re guarding the treasure. And that treasure is melange or spice, and spice is the most valuable commodity in the universe and it’s only found on the planet Dune. So melange or spice is similar in concept to oil or to the limitations of that. Matthew Peterson: And Winds of Dune is the latest one. So, Kevin, tell us a little bit about the Winds of Dune. Kevin J. Anderson: When Frank Herbert wrote his first ones, Dune and Dune Messiah and the Children of Dune, he left these giant gaps between the first two--there’s a 12 year gap in which Paul Atreides leads this giant jihad and billions and billions of people die in his name and the planets are destroyed and all of that stuff is just skipped and left in between the books. And after Dune Messiah, Paul Atreides, he’s a tyrant, but he’s sort of broken and he’s grieving. His beloved has died giving child birth and he’s blind and he sort of throws in the towel and just walks off into the desert leaving the empire to take care of itself. Kevin J. Anderson: The next book Frank Herbert wrote was called Children of Dune and that takes place nine years later, after all that turmoil has settled down. So The Winds of Dune is the direct sequel to Dune Messiah. Brian Herbert: So our sequel to that, the Winds of Dune, opens with Paul’s mother, Lady Jessica, learning that he’s presumably dead, that he’s walked off. And so, the whole entire novel is told from her point of view, and she is left wondering, “Was my son a hero, or was he a monster or was he a combination of both?” So it’s largely told from her point of view, and she’s the most famous female character in science fiction, Jessica. Matthew Peterson: Oh, yeah. Definitely. Kevin J. Anderson: There’s an awful lot of exciting plot there that Frank Herbert left for imagination, so we’re filling in and kind of connecting the dots, there. Matthew Peterson: Filling some of those gaps. Well, I’ve seen the original Dune movie and the 2 mini-series that were made. And I hear that there is another Dune movie that’s in the works. How is that one going? Kevin J. Anderson: It’s in Hollywood hell at the moment. Kevin J. Anderson: It’s kind of a waiting game. But we can certainly hope, because I think Peter Jackson really raised the bar for all the film makers. When he did The Lord of the Rings, I think he really proved to everybody that you really can do justice to a huge, epic, complex story and get it right. Brian Herbert: They’re talking about a classic interpretation of Dune, and Paramount’s pretty serious about it, so I’m hoping it goes forward. Matthew Peterson: Well, that’s something very exciting to look forward to. Well, it’s been nice speaking with you guys. I’ve been talking with Brian Herbert and Kevin J. Anderson, New York Times best-selling authors of the latest Dune novels. Thanks so much for being on the show guys. Kevin J. Anderson: Oh, thank you very much, it was a lot of fun. Brian Herbert: Thank you, Matthew, I’ve enjoyed it. Matthew Peterson: Check out www.TheAuthorHour.com to listen to the bonus questions that got cut from the interview. Don’t go away. I’ve got Orson Scott Card, the author of Ender’s Game, coming up next.